Dimmidisì, fully aware of how unique and incomparable our Country is, continues to enhance the peculiarities that made Italy famous and appreciated all over the world, such as its historic and artistic heritage, nature, food, climate, hospitality. After a photographic contest, begun in July and ended in September, the salad of La Linea Verde arrives on the shelves with two new themes on their packaging: one draws inspiration from our home gastronomic tradition, the other one reminds the landscape and natural beauties of our Country. 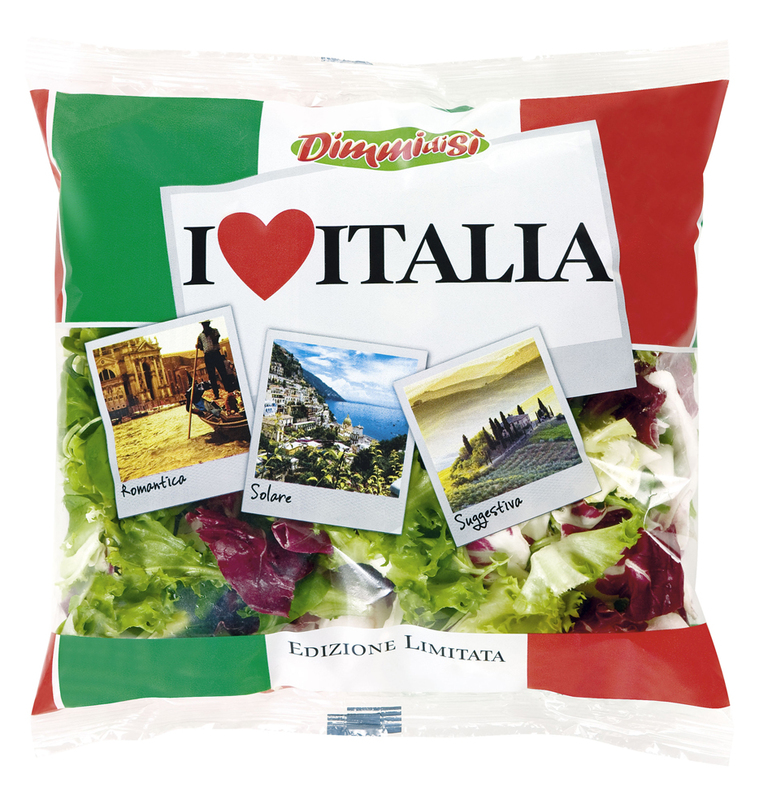 The project of ‘I love Italia’ limited edition salad becomes part of a wider marketing emotional plan oriented to celebrate the values linked to Italian character. This project was opened by the company in 2011 with ‘Insalata Tricolore’ and continued last year with ‘Insalata degli Italiani’. These products got very good results in terms of sales. 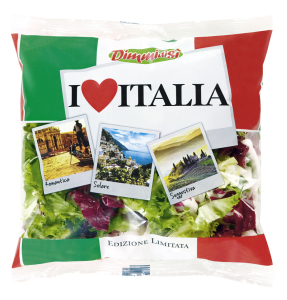 ‘I love Italia’ must be placed in the refrigerated section of the fruit and vegetable department.